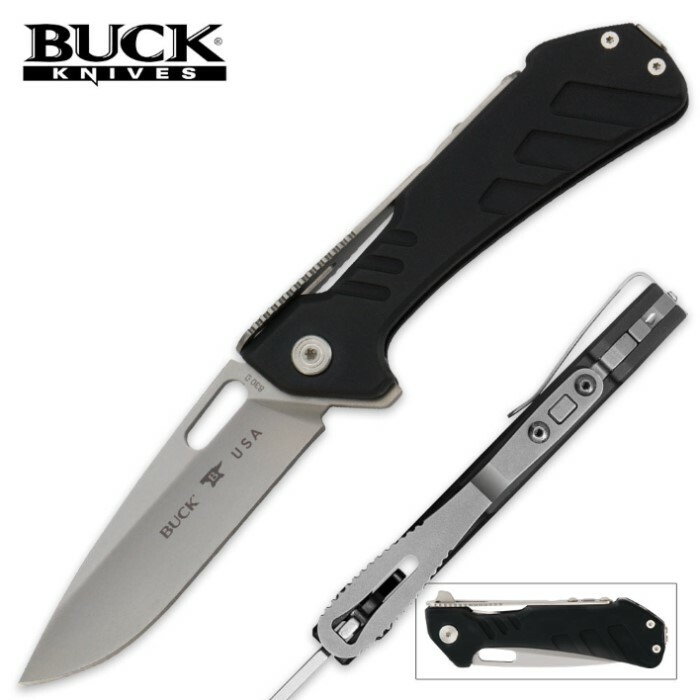 Buck Marksman Strong Lock Pocket Knife | BUDK.com - Knives & Swords At The Lowest Prices! 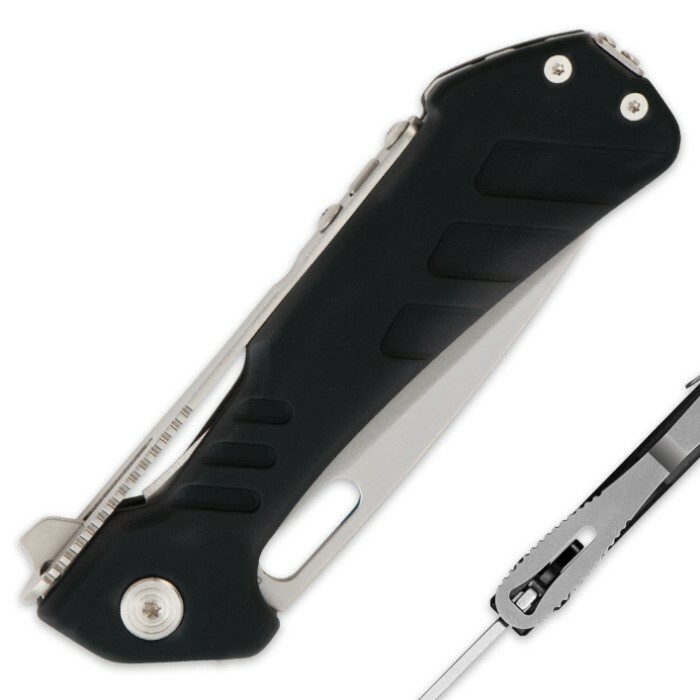 If a tactical pocket folding knife is what you’re in the market for, then you need to have a Buck Marksman line knife which has the strongest locking mechanism on the market. Developed by Grant and Gavin Hawk, the Strong Lock System has a ball-bearing pivot system that makes it quick and easy to deploy by sliding one finger along the lock strap. The 3 1/2” drop point blade is made of 154CM steel and the handle is of black anodized aluminum. 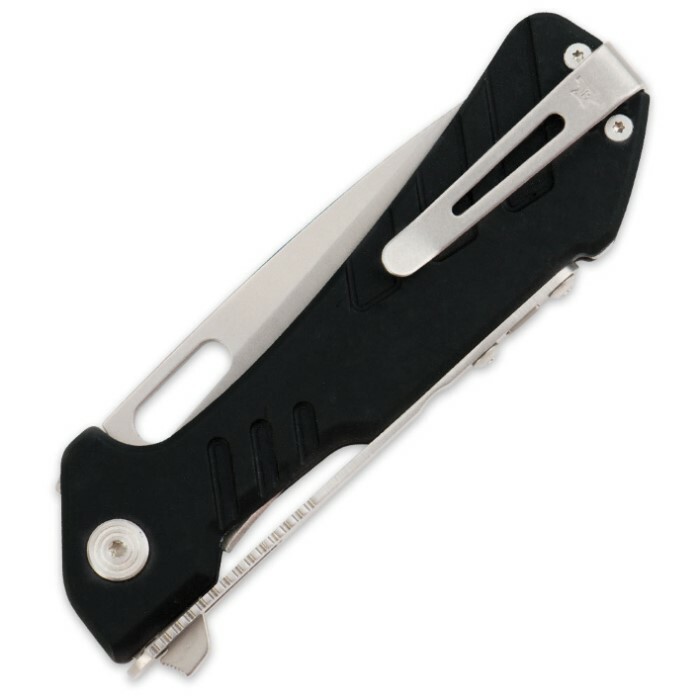 A removable, tip-up pocket clip lets you carry it anywhere and it is 4 3/4” closed.